Truthfal’s Morgan Lloyd explores the best of the best Cornish sporting women to celebrate International Women’s Day. On March 8th people all over world will be celebrating International Women’s Day. This commemorates the movement for women’s rights, and dates back to the early 1900’s. For us here at Truthfal, we are celebrating the Cornish women who have made their mark on the world of sport, pushing girls and women all over the world to #pressforprogress. 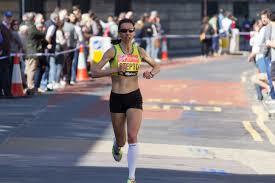 Cornish-bred Annie Vernon, is an Olympic Medallist. Scoring silver for Great Britain at the 2008 Beijing Olympics in the Women’s Quadruple Sculls rowing event. Picking up the oars at the age of 17 at the Castle Dore Rowing Club in Golant, the opportunity to study at Cambridge University made sure this hobby became more than just that. 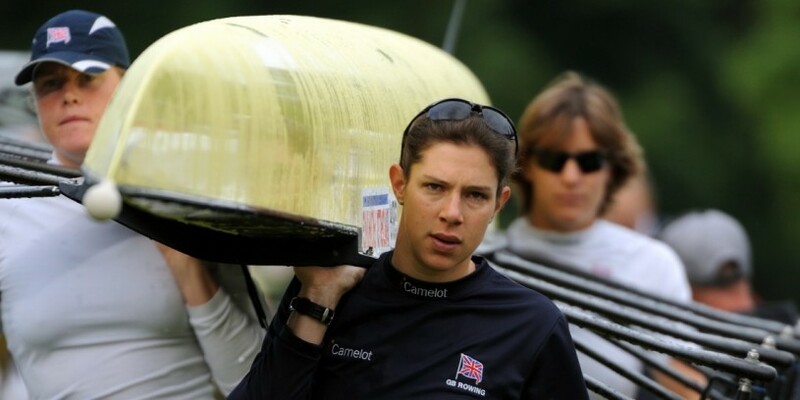 She has had an impressive rowing career, going from one of the smaller, less experienced members of the GB squad, to overtaking bigger and better athletes to become a world champion for the first time in 2007. Now retired as an athlete, Annie can look back on her rowing career with pride. Having balanced a degree at one of the country’s most prestigious universities, with being a professional athlete, it is clear that hard work and dedication pays off. Annie is now a freelance journalist, having written columns for both the West Briton and the BBC, she continues to inspire younger generations. At the Age of seven, St. Ives born Tassy Swallow picked up a surfboard for the first time. Her dream of surfing professionally was supported by family, friends and her college. It didn’t take Tassy long to progress to an exceptionally high standard of surfing and she has since represented Great Britain on multiple occasions. Tassy has also competed in five World Junior Surfing Games at locations around the world, including Ecuador, New Zealand and Panama, winning every UK under-18s Pro Tour title between the ages of 15 and 18. After becoming a qualified surf coach in 2012, Tassy went on to set up Surf Ratz, a surf club for girls aged 6-16 based in her hometown of St Ives. In an interview for Surfgirl magazine Swallow expresses that the aim of this surf club is “to help girls achieve their full potential as strong, confident, resilient and independent young people”. Astonishingly Tassy raised over £10,000 to renovate the Battery Barracks on the Island at St Ives as a base for Surf Ratz. In 2012, Tassy was also the second person to carry the Olympic flame during its relay around the UK, receiving it from Ben Ainslie at Land’s End. The following year, at the age of 19, she was made a Bard of the Cornish Gorsedh, becoming the second youngest person ever to be given the honour. Nowadays Tassy continues to coach various age groups in St. Ives as well as still competing around the globe. 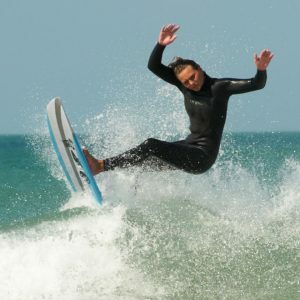 In light of International women’s Day, Tassy is hosting a “Ladies Surf Week” in Morocco, where all abilities are welcome.